For certain applications, conventional compression or transfer molding is still the preferred methods. 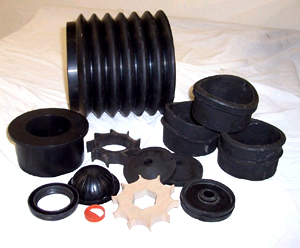 Items of thermo-set rubber in various grades, with various properties, as well as some silicone or parts with heavy cross sections, are likely candidates. Wherever the traditional way is the best way, we’ll use it. In the rubber department, we have presses with up to 30″ x 30″ platens and 24″ ram.